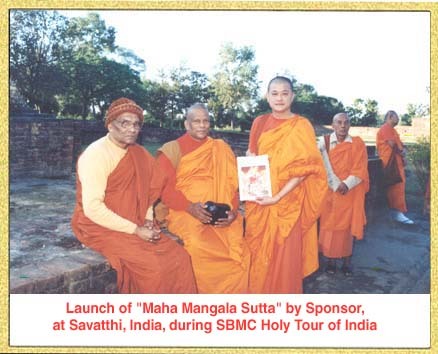 Founder , Chief Monk, Chief Administrator. Singapore Buddhist Meditation Centre. Ven. 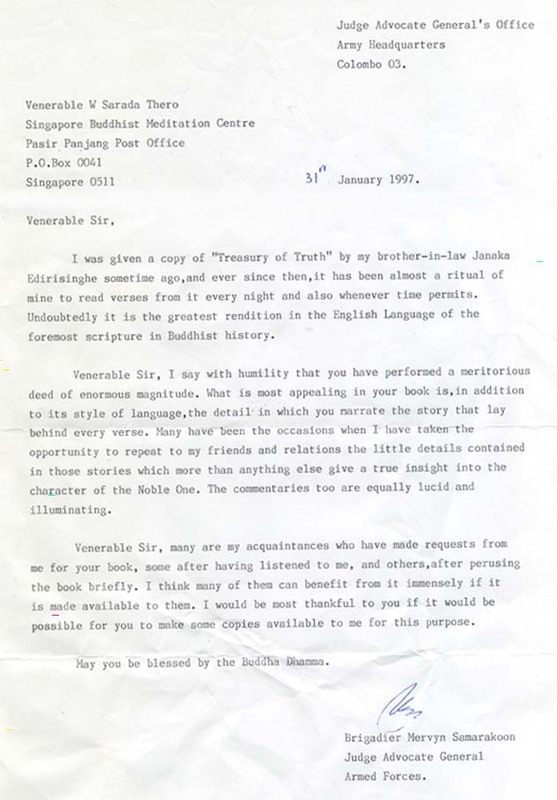 Sarada Maha Thero was born in Sri Lanka in 1941, in a devout-Buddhist family. 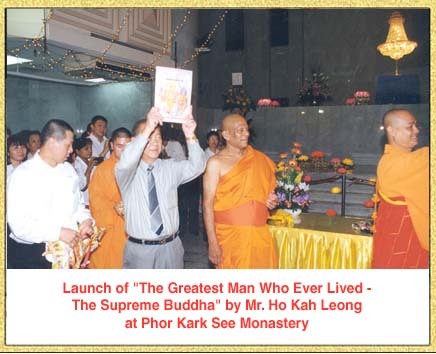 He was ordained a Buddhist monk in 1953, when he was just 12. 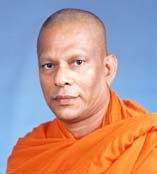 He pursued his higher education at the University of Sri Jayawardhanapura, Sri Lanka. He obtained his First Degree in 1964. He was Principal, Indurupathvila University College 1967-1969. He was Principal Sudhramarama University college. 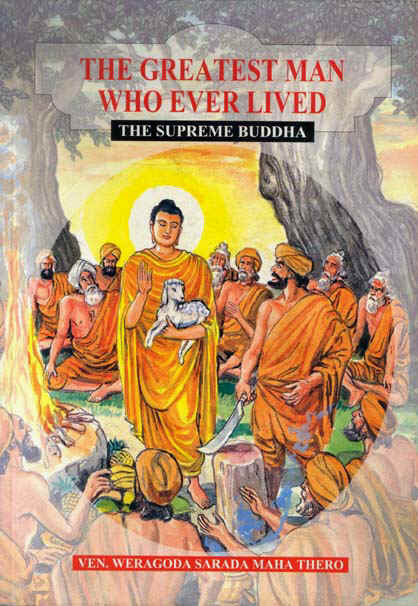 He dedicated himself fully and with missionary zeal to the spreading of the Word of the Buddha, world-wide. He began his service in this field in Penang, Malaysia. 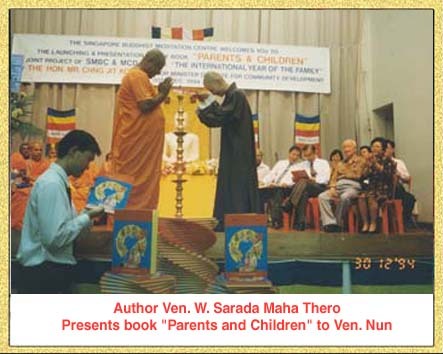 There he was Principal Mahindarama Sunday Pali school until 1979. 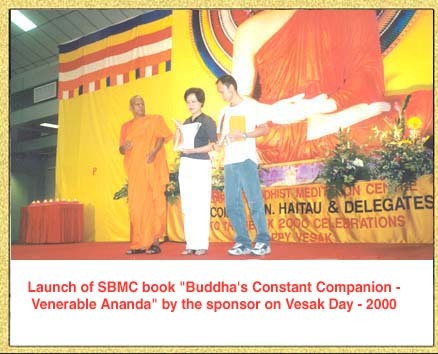 In that year he came over to Singapore and founded the Singapore Buddhist Meditation Centre (SBMC). This centre has always been supported by a highly dynamic and devoted group of devotees from Singapore. Ven. 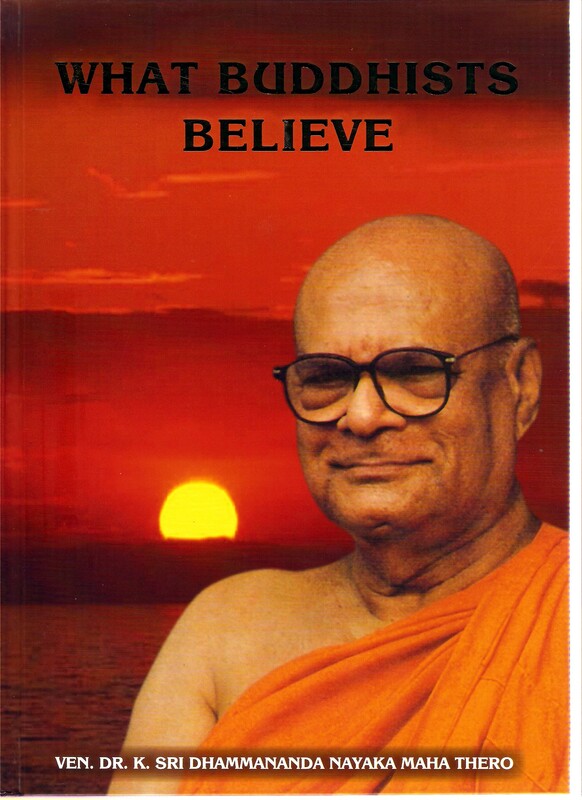 Weragoda Sarada Maha Thero, pioneered the founding of the American – Sri Lanka Buddhist Association of which he is still the Director. 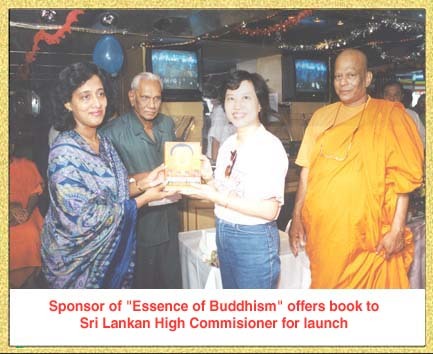 In addition he is the current General Secretary of Japan-Sri Lanka Buddhist Centre, of which he was the founder-President. 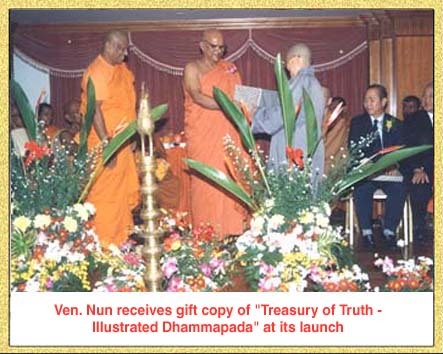 He is the Chief Incumbent monk of Jayanthi Viharaya, Sri Lanka. 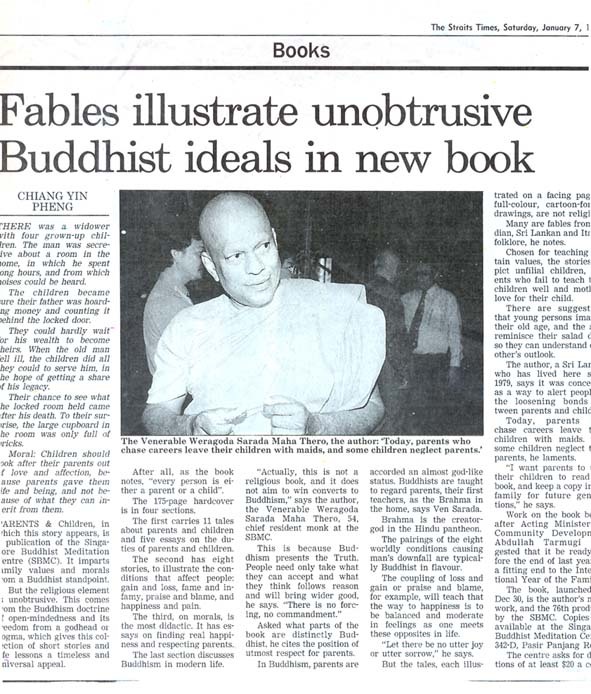 His unique publications programme is distinguished by a whole series of records. 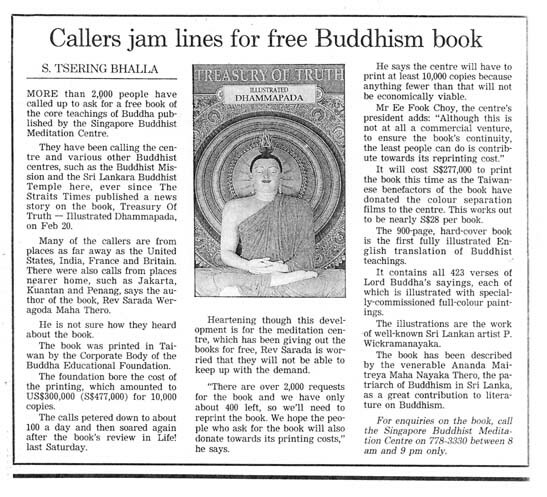 His monumental work “Treasury of Truth - Illustrated Dhammapada” is unparalleled for more than 2000 telephone calls it elicited just in one day. 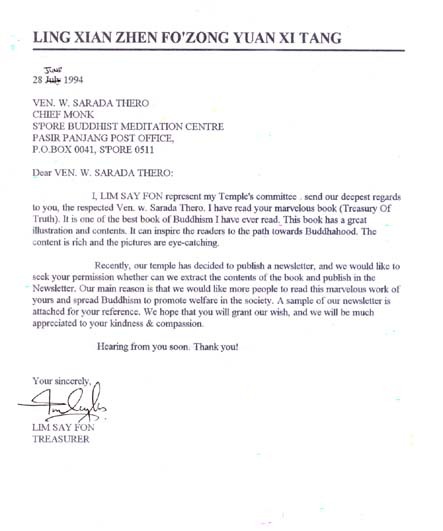 This must undoubtedly be a world record in the field of Buddhist publications. Today, he has more than 185 titles to his credit. 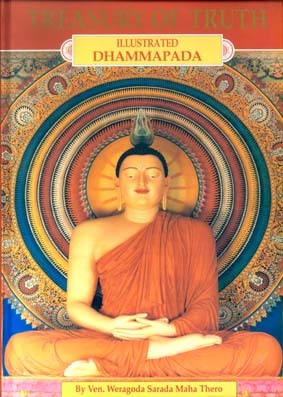 His works appear in Sinhala, Japanese. Korean, Chinese and English. 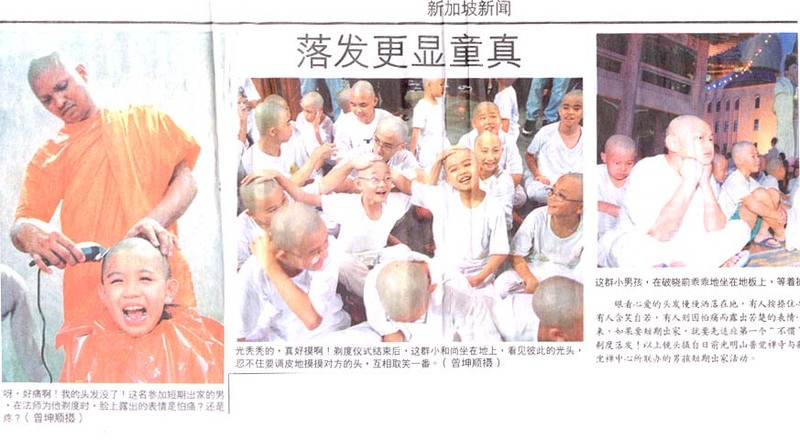 He has moved on to electronic media, to present the Buddha - word to the world. 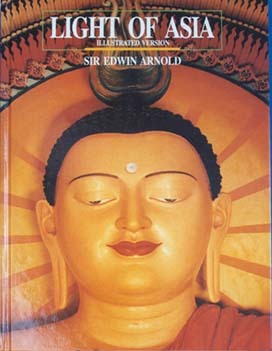 Though his work “Treasury of Truth- Illustrated Dhammapada” is his current magnum opus, his greatest is yet to come. 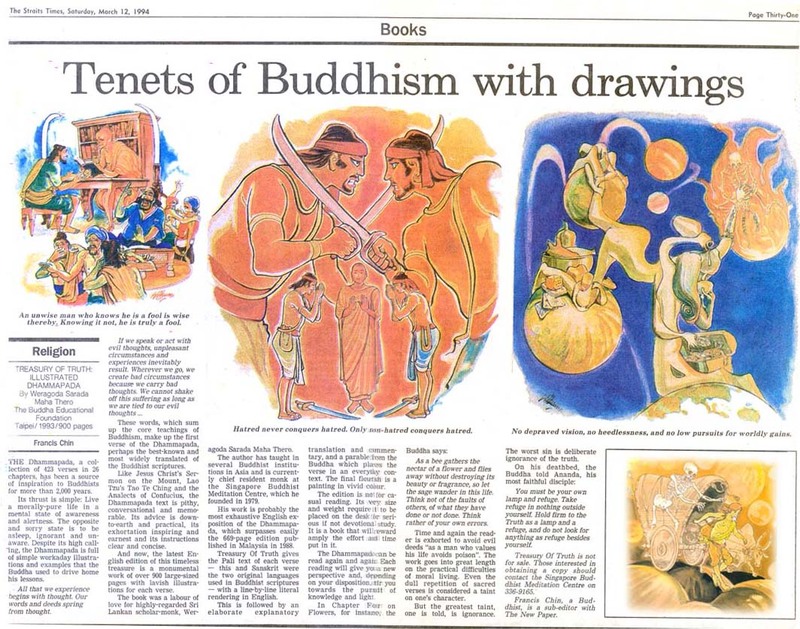 It is the “Illustrated Jataka Tales” with a thousand especially commissioned illustrations to adorn the book and support the text. 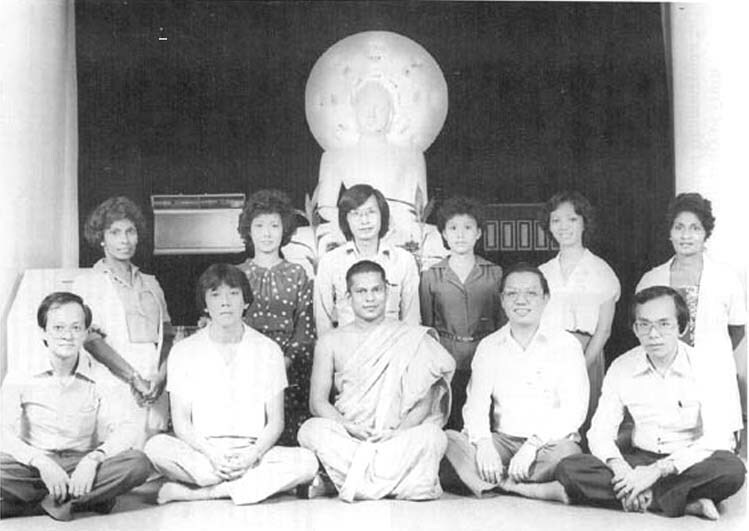 Singapore Buddhist Meditation Centre ( SBMC ) was established in 1979. The picture shows the founder members. 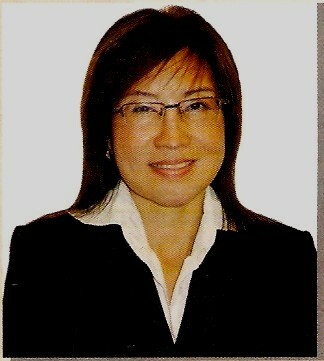 Ms. Agnes Lee Peng Gien, Ms. Lau Yoke Kuan, Ms. Rose Weerekoon. 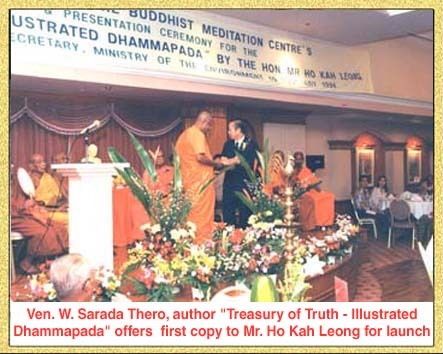 President, Singapore Buddhist Meditation Centre. 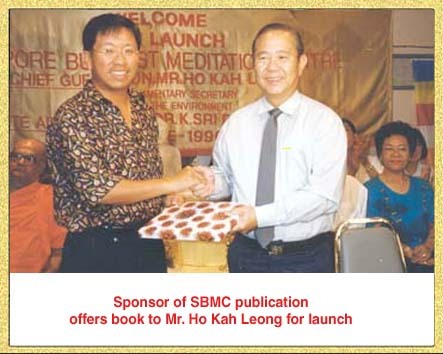 Welcome to SBMC WEB – SITE. 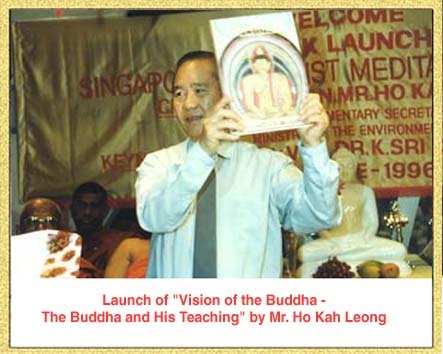 Singapore Buddhist Meditation Centre extends its global reach, with the opening of our WEB – SITE. 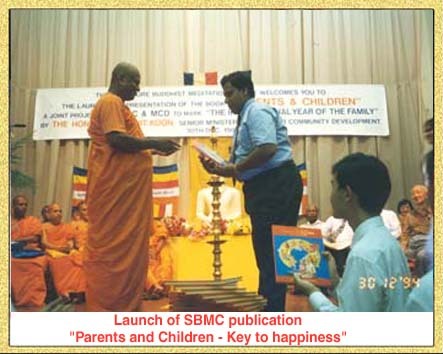 For over twenty-five years, SBMC has offered to the world more than 320 publications on Buddhism and allied themes. 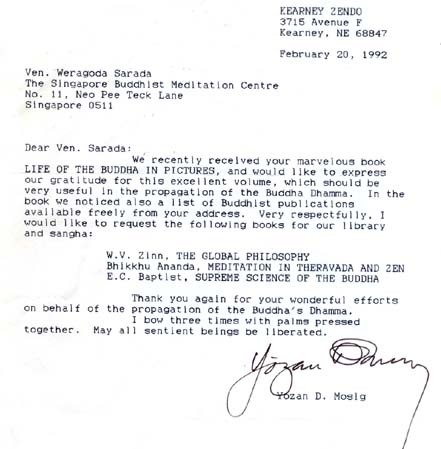 More than a million of our titles – mostly distributed free - circulate around the globe, enhancing the knowledge of Dhamma – seekers. We are grateful to those who have profited from our publications. 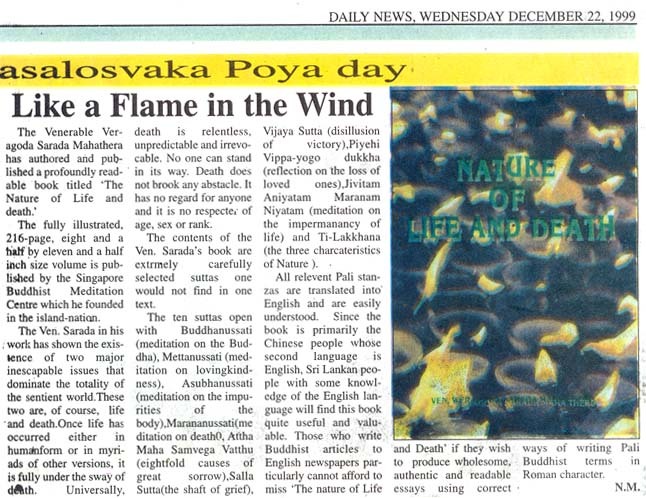 From our initial steps of printed media products, we moved onto electronic media, producing audio CD’s on Dhamma Themes. Now we present to you our SBMC web-site extending our services to wherever you are in the world. 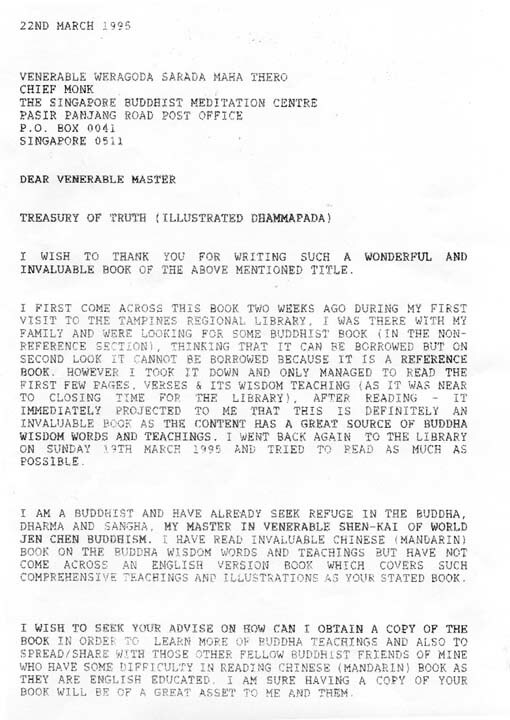 Please visit our WEB-SITE, frequently and encourage your friends and fellow Dhamma seekers to turn to our WEB – SITE. Please communicate to us your views, suggestions and comments. May you be happy, healthy and prosperous.